The Co-archiving Refugee Documentation project is based upon a collaboration with the Flyktingdokumentation/Refugee Documentation project run by the Regional Museum in Kristianstad, Malmö Museums, Kulturen Museum and the Department of Cultural Sciences, Lund University, and aimed at prototyping collaborative (co-)archiving practices for involving underrepresented voices in contributing to our common archives. For more information about the background to the project, see the papers “Prototyping collaborative (co)-archiving practices: From archival appraisal to co-archival facilitation” (Nilsson, 2016), and “Becoming a co-archivist. ReDoing archival practices for democratising the access to and participation in archives” (Nilsson and Ottsen Hansen, 2017). In the autumn 2015 the museums mentioned above initiated the project Refugee Documentation aimed at documenting the emergent refugee situation in Sweden. 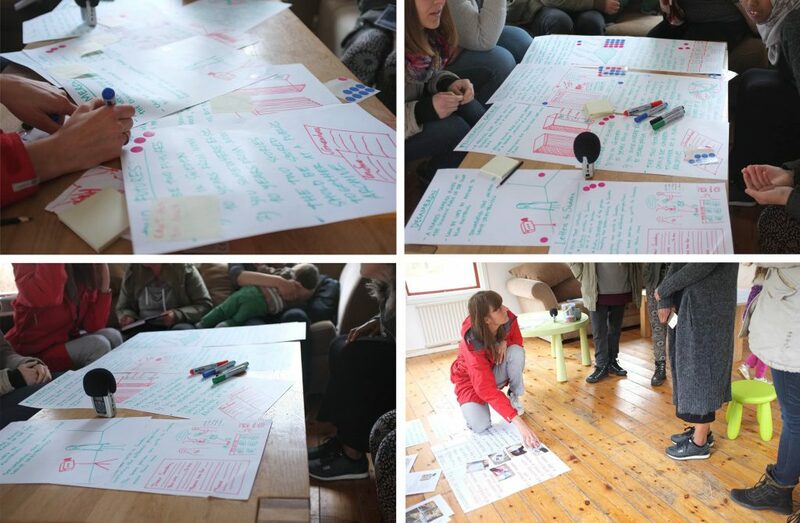 Through their initiative they were able to document and share some of the newcomers’ experiences and stories, as well as testimonies from volunteers and activists that engaged in welcoming the people arriving to Malmö. The documentation process has not only resulted in a large amount of archival material, but also in a series of new research questions dealing with methodological challenges regarding matters of inclusion and representation when documenting crisis situations (Nikolić, 2016*). What are the roles of museums and other cultural institutions? How can we develop approaches, methods and practices for emergency museological ethnology characterised by an inclusive approach inviting people to directly share their experiences? Thereby avoiding seeing these experiences through the lens of the “other”, that is, the person gathering the documentation, interviewing, filtering, selecting, and archiving. Building on insights gained from previous design interventions run within the Co-archiving research theme, as well as the Refugee Documentation project we have organised three co-design workshops involvning asylum-seeking newcomers, and museum professionals interested in developing co-archival facilitation approaches. The focus of the first workshop was Envisioning the Archive where the planned activities focused on enabling the participants to access and share their personal values and identify relevant themes they found important in regards to sharing their stories, and communicating who they were. Participants were both museum professionals and newcomers. The activities were also focused on creating a common ground for the two groups of participants. At the workshop, we gained insights into how different kinds of objects could hold different kind of meaning in the personal archive. We also ended up with some design principles – insights that more concretely related to how to actually design for this specific context and purpose. 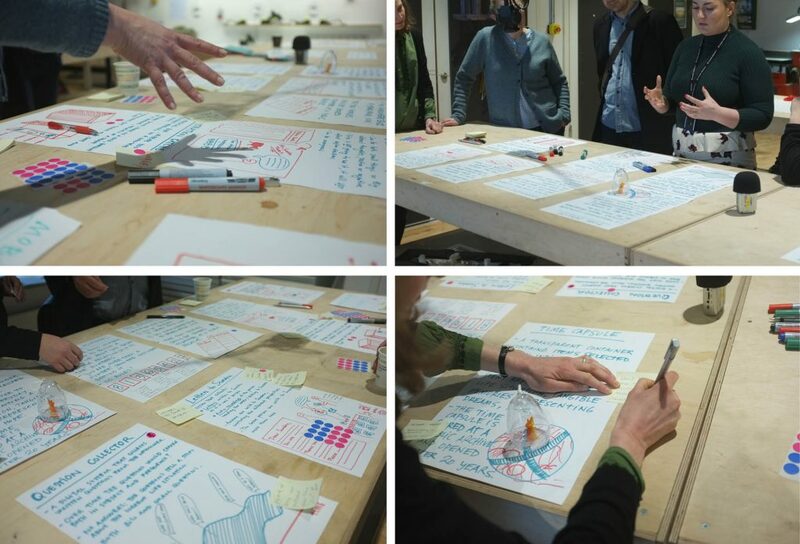 Based on these insights we developed eight concrete proposals for co-archiving practices. Exercises at the first workshop (CC:BY-NC). The second and third workshops had a focus on Doing the Archive, and aimed at facilitating co- and re-design of concrete co-archiving practices. 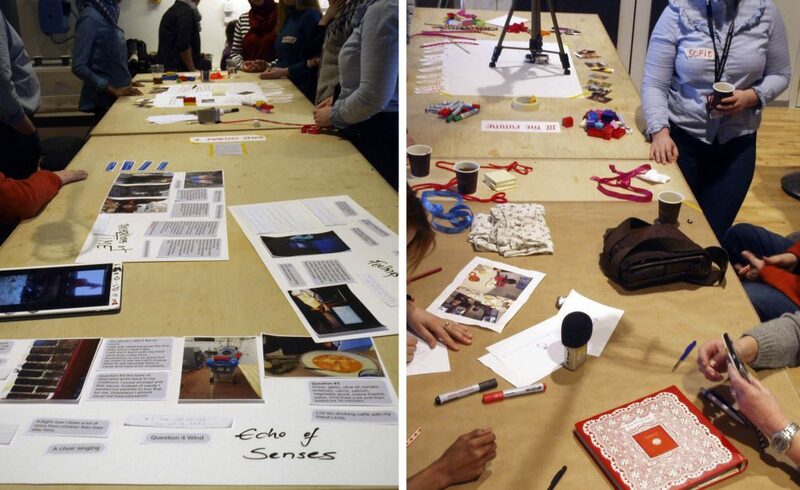 The eight co-archiving practices were presented to our two groups of participants, evaluated and re-designed. The workshop was held first with the museum professionals and one week later with the newcomers at the camp where they lived. Ideas evaluated by the museum professionals at the second workshop (CC:BY-NC). Concept ideas evaluated at the workshop at the camp (CC:BY-NC). Based on ideas that emerged at the workshops we have prototyped a physical Co-archiving Toolbox that holds a selection of co-archiving practices. The different practices are designed to be open-ended so the newcomers will have a large degree of freedom to decide how they want to use the tools, thus enabling them to participate in defining how their own stories and everyday lives are captured, recorded and archived. The toolbox is planned to be something that a co-archivist can use when collecting material in the field and eventually leave at, for example, a refugee camp for a period of two weeks. Assorted sketches from ideating the co-archiving toolbox (Ottsen Hansen, 2017). During the autumn the prototype will be tested in the field, iterated and eventually designed as a completely open source co-archiving toolbox, where both the physical box (files for replicating the build), all materials and a handbook are made available for download, re-production, and replication. For more information about the project, please contact Elisabet M. Nilsson, or Sofie Marie Ottsen Hansen. The newcomers and museum professionals that participated in the three workshops. The Refugee Documentation project run by the Regional Museum in Kristianstad, Malmö Museums, Kulturen Museum, and the Department of Cultural Sciences, Lund University. *Nikolić, Dragan (2016). Lecture: Refugee Documentation project presentation at The Department of Arts and Cultural Sciences, Lund University.